We’re on video#14 mga idol on the CCNAPHILIPPINES VIDEO SERIES. Today, we will talk about the basic of network cabling. If you’re just starting out, if you’re a beginner or if you’re planning to get CCNA training, this video will surely help you understand the basics and fundamentals of network cabling. I know network cabling is a wide and long topic, we could go on and on. But again, the focus and goal of the videos and the blog is to help you understand the basic and fundamentals first. So, focus muna tayo sa kanila. I’m sure when you finished the video, you’ll have more depth understanding what and how network cable works and how they are being used in the networking industry. If you knew someone who needs or who are interested in this tutorials and other topics na meron tayo sa blog, please share it to them para marami pa tayong matulungan. Again, for comment and suggestion, email or pm lang. Thank you idol.. well explained and easy to understand. 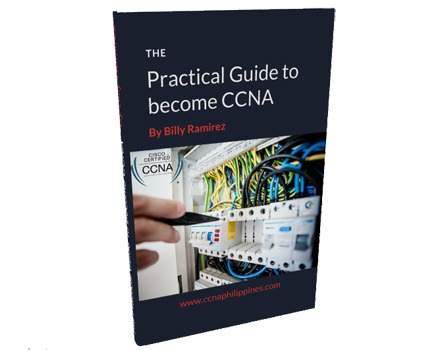 Galing ng website mo…very informative… Gusto ko kumuha ng CCNA kaya lang hesitant ako.. May mga babae ba na kumukuha ng CCNA? Yes madami naman Conie although majority pa rin mga guys. Kaya yan, God bless! Meron po bang instances n gumagana ang straigththrough cable pag pc to router?